ENO’s latest lounger stands on its own. And boy, it feels nice. 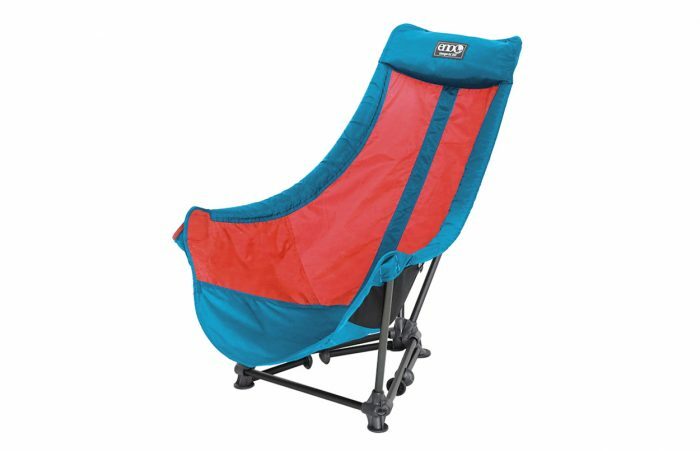 The recently released ENO Longer DL Chair ($125) might be the most comfortable compact camp chair I’ve used. 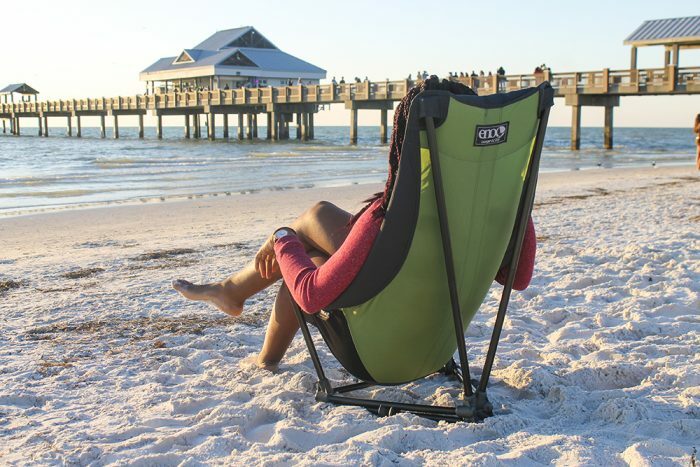 ENO’s popular Lounger Hanging Chair, basically a hanging hammock-style chair, has come down to the ground, so you can use it anywhere. But it does have room for improvement. Read on to learn more. Comfort is the name of the game, and this chair is the most comfortable, compact camp chair I’ve ever tried. The lounge game is strong with this one, however, so it’s not very good at letting you sit up tall. Pads on the sides of the seat provide very comfortable arm rests. The integrated pillow is perfectly placed and provides just enough cushion. Don’t be surprised when you your eyes droop and a siesta commences. 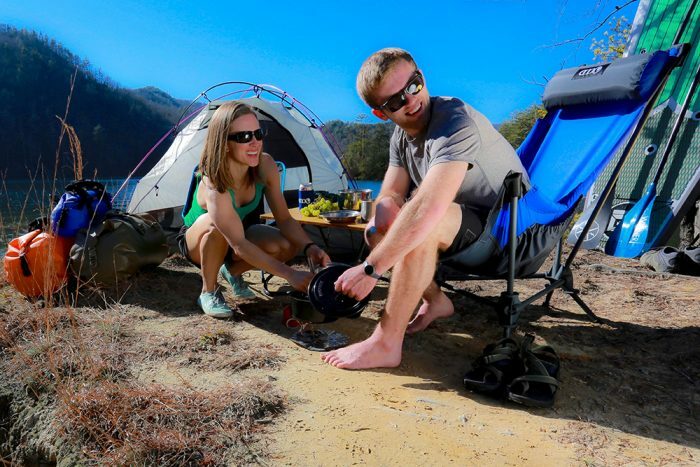 At 4.6 lbs, the Lounger DL is perfect for trips to the beach, local concerts, or weekend camping. 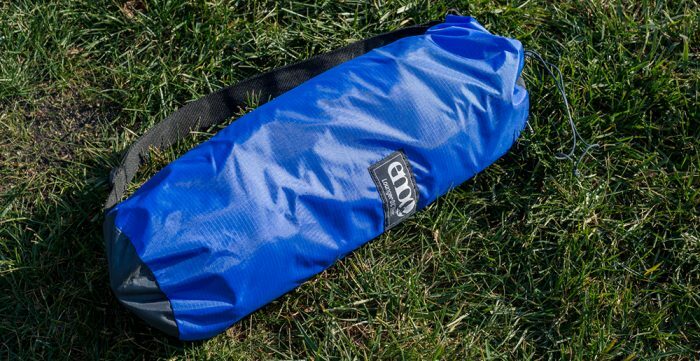 It packs down to 6” by 18” in the included stuff sack, so it’s easy to carry and doesn’t take up much car space. Still, while it’s not huge, it wouldn’t be ideal for light backpacking. 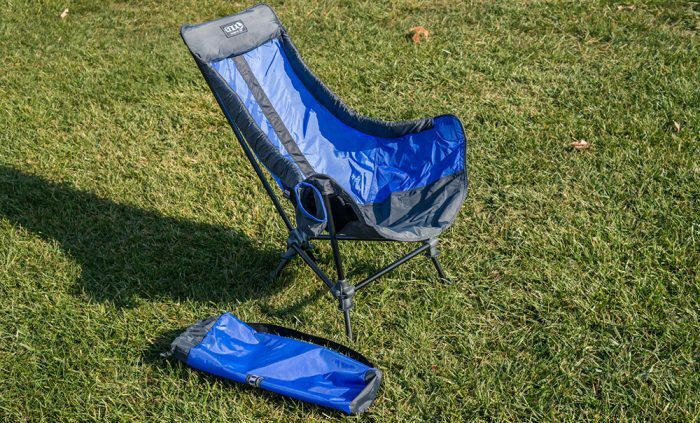 This is a car camping or casual use chair. 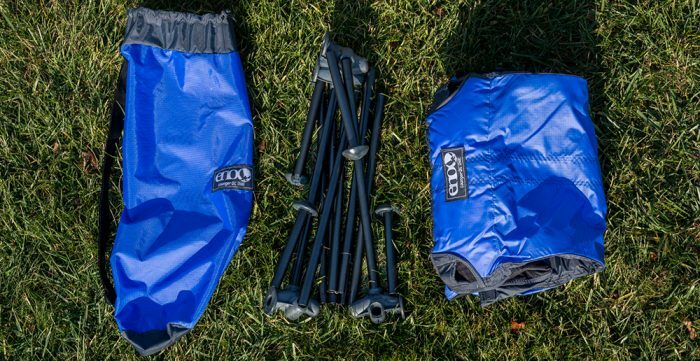 The ripstop nylon seat stretches over on an aluminum frame. It’s rated up to 250 lbs. Shock-cords hold the frame together, which helps ensure you don’t lose any frame parts during assembly and tear down. One gripe with this chair is that it tends to come apart when you pick it up and move it. It’s not a huge issue, as it is easy to reassemble, but it’s a nuisance nonetheless. The unique chair-leg design provides a quick, easy way to adjust seat height. The seat sits from 10” down to 3”, a nice touch if you’re sitting around with a group of others in taller chairs and don’t want to lounge too low. The caps on the ends of the feet keep the chair on top of whatever surface you put them on, even soft sand. Being able to sit at a comfortable height and stay off the muddy, wet, or cold ground is great. Topping off this amazing work of camp-chair artistry, the good folks at ENO added a beverage holder on one armrest. While it might look floppy and not very secure, it actually works perfectly for standard bottles and cans, securely holding your beverage within reach. The Lounger DL doesn’t offer much in the way of ventilation, which I imagine could be uncomfortable in the summer months. I’ve experienced this on other chairs, but haven’t had this one out in really hot temps just yet. ENO may want to investigate a mesh option for those in hot climates. On the flip side, it does keep out the wind and cold during winter nights around the campfire. 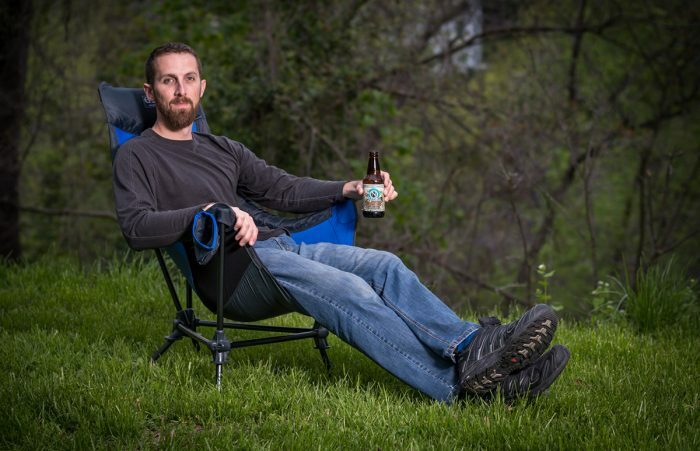 The ENO Lounger DL is a new style of collapsible camp chair, one that is sure to take your campfire lounge game to all new heights.